KO2 Smoke Round for 37mm Rifled. 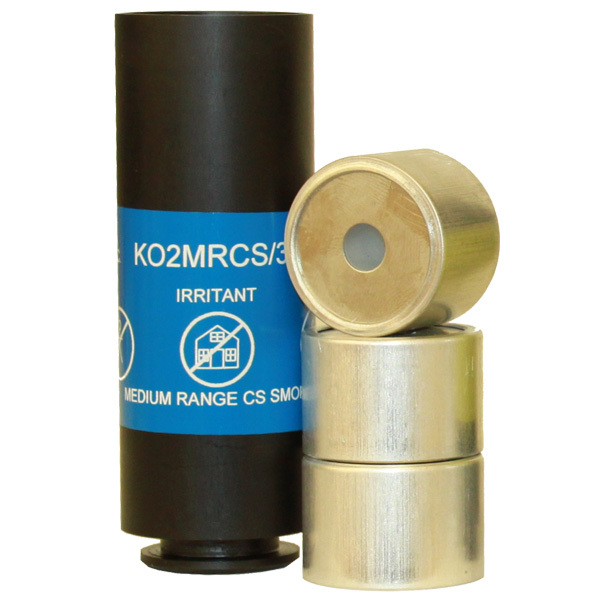 The KO2 is a pyrotchnic irritant smoke munition primarily used for crowd management situations. Offered in short, mid and long rage variations. Available in either single source smoke canister or three separae smoke canisters. All KO2 varia nts are pyrotechnic and should be used outdoors only and not to be fired directly at subjects.